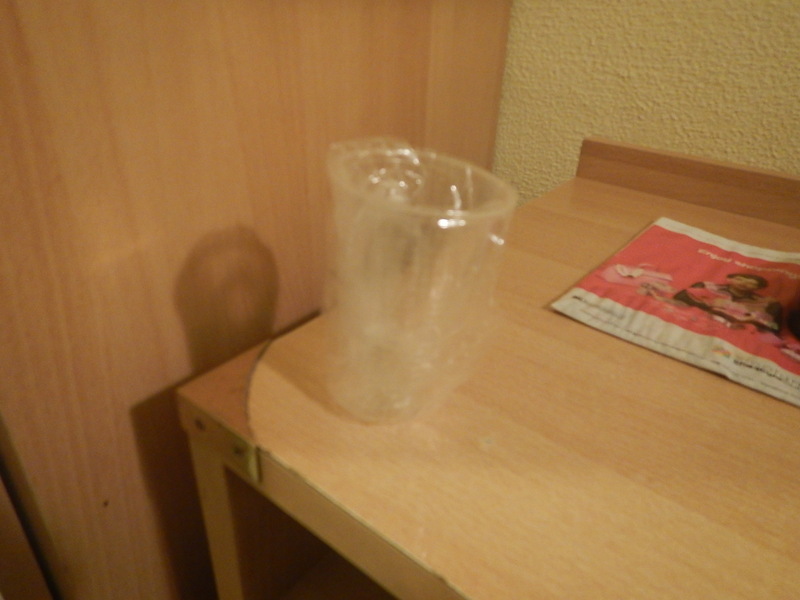 In my hotel in Novara, I didn’t get a proper glass or even a hard plastic one, like those I use at home. I got one of these design crimes! They are single-use plastic of the worst kind. They are difficult to open with my gammy hand. When I opened one in Germany I destroyed the glass. But the worst thing, is that they are unstable and one tipped over in Novara and ruined my paper, in which I was doing the sudoku. I agree, they are horrible, not even nice to drink out of either. And since were supposed to be saving the oceans, they are very environmentally bad too! What is wrong with a proper glass, and some sort of electric glass washer device in the kitchen, or even on each floor of a hotel. It appears that the EU has a dustbin for products like this!